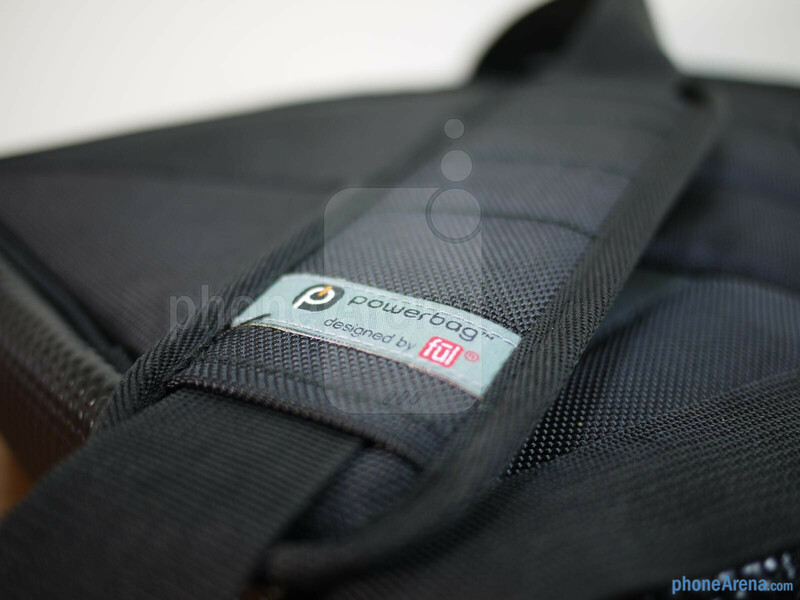 Already, we’ve taken a close look at one of Powerbag’s backpacks – the Business Class Pack. 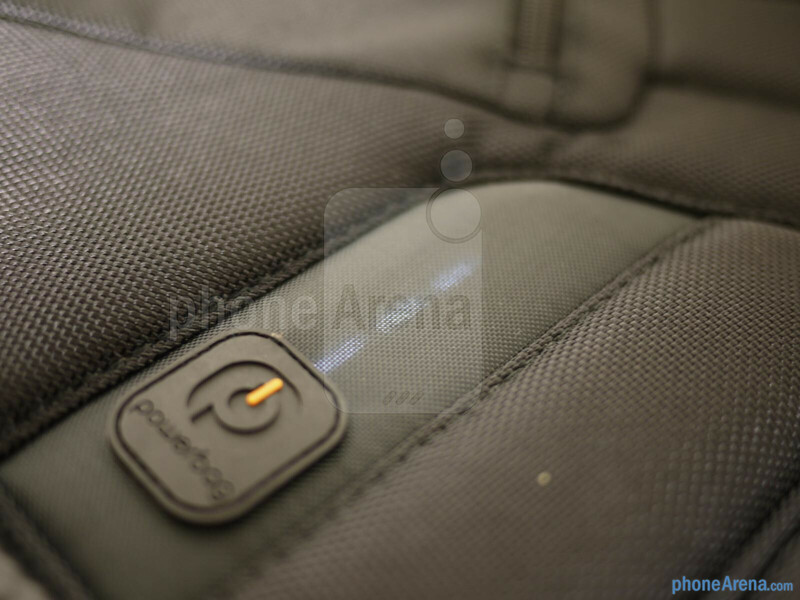 Unlike that particular model, the one we’re scoping out here is mainly meant for tablets, as opposed to accommodating a wealth of electronic goodies. 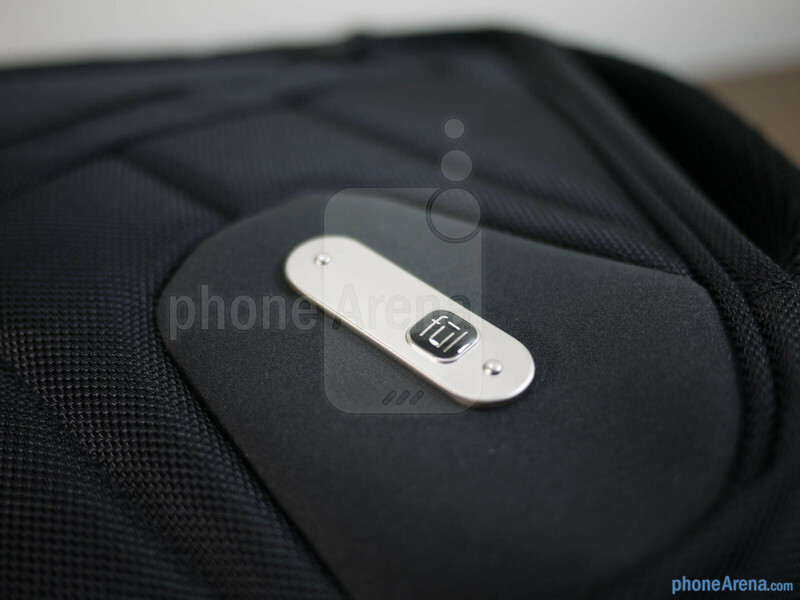 Nevertheless, the $139.99 priced Powerbag Tablet Messenger should no doubt appeal to people since it combines the wonderful functionality of charging multiple devices on the go with its modern styling courtesy of being designed exclusively by fūl. 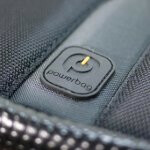 Similar to many over-the-should messenger bags out there for laptops, the Powerbag Tablet Messenger doesn’t stray too far with its sporty design – though, it’s a bit more squarish in shape. 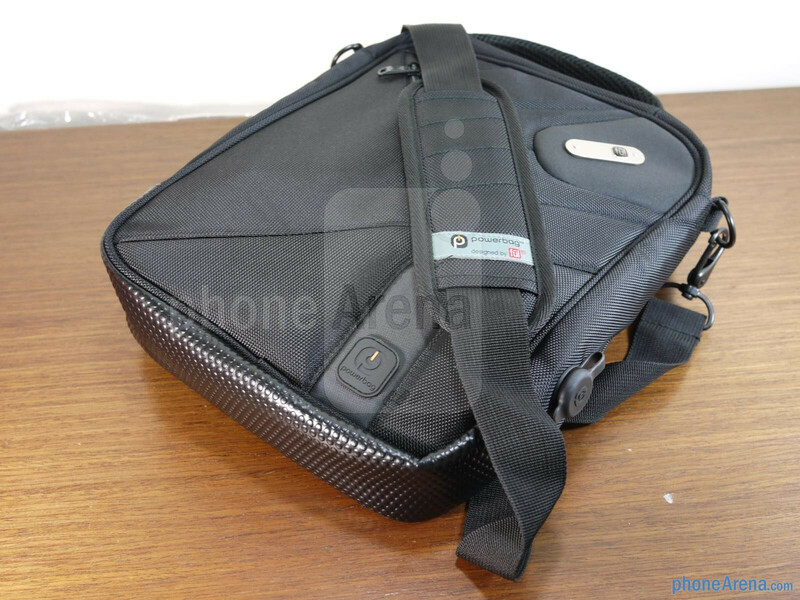 With the padded shoulder strap, it adds enough comfort in carrying the Tablet Messenger wherever, and as a secondary option, there’s a secure handle for one-handed carrying. 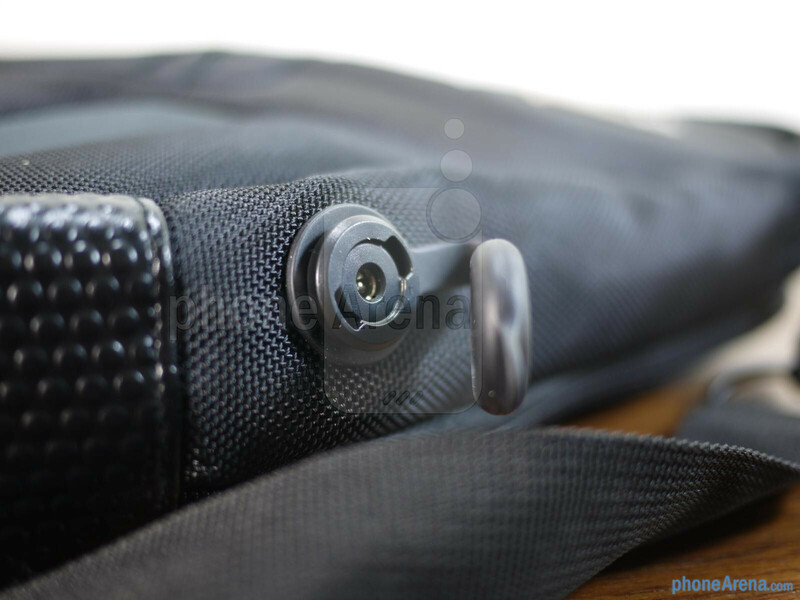 Also, we do like the rubbery bottom lining that allows us to prop the messenger upright – without getting its bottom dirty. 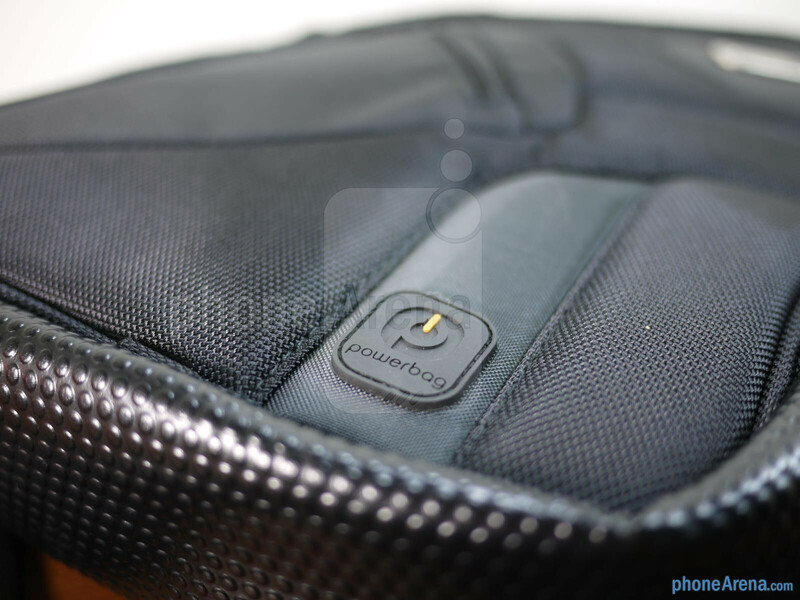 On the front of the Tablet Messenger, we find the distinct Powerbag button that enables us to see how much juice is left in its removable 6,000 mAh battery. Nearby, there are LEDs that light up accordingly when the button is pressed once. In order to activate the charging process or to shut it off, all we have to do is simply perform a long press. Easy enough, right?. 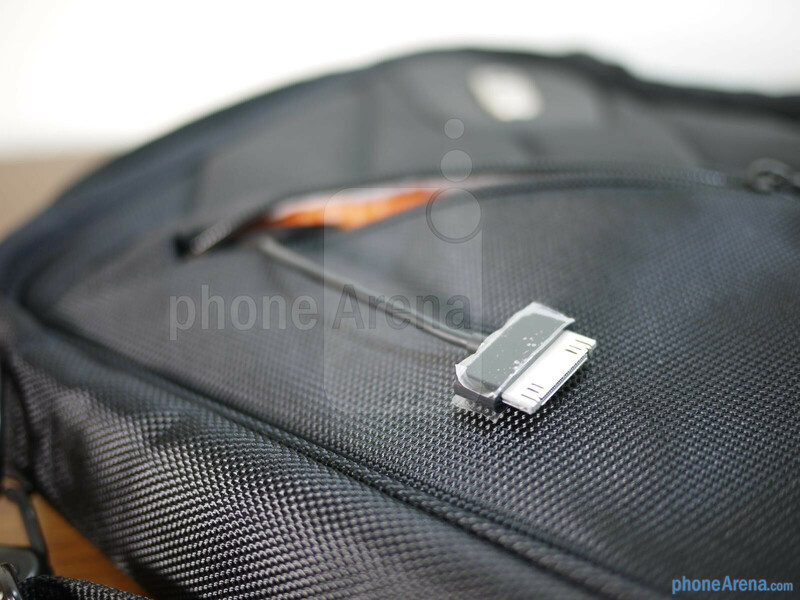 Additionally, there’s a pocket in the front that seems to strictly accommodate iOS devices, such as the iPhone and iPod touch, since the Powerbag’s 30-pin charging cable is located there. 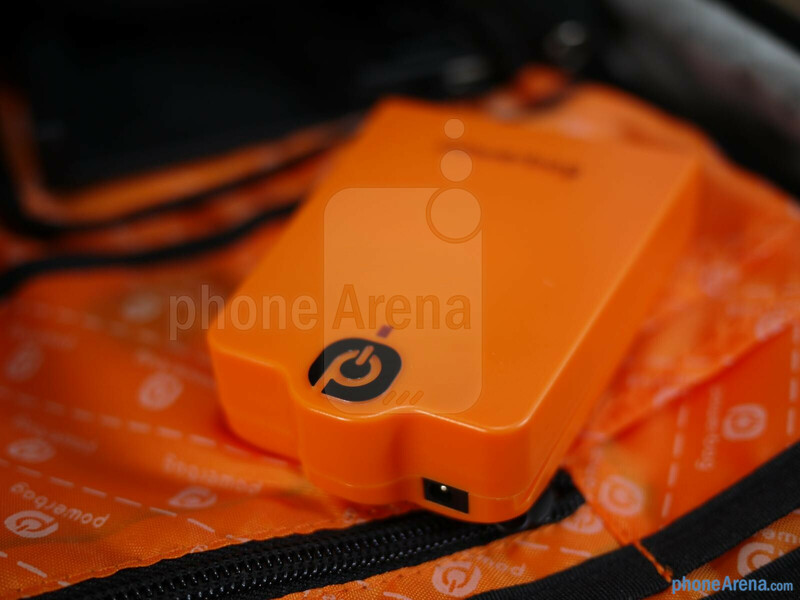 Unzipping the main compartment of the Powerbag Tablet Messenger, we’re instantly greeted to an orange/grey color scheme. 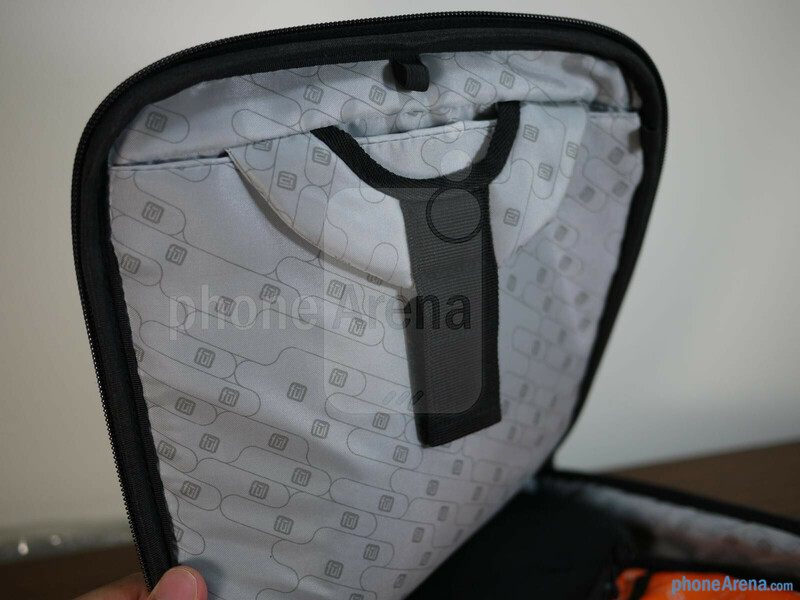 On one side, there’s a Velcro strap that tucks safely accommodates tablets as large as 10-inches in size with its sufficient padding. 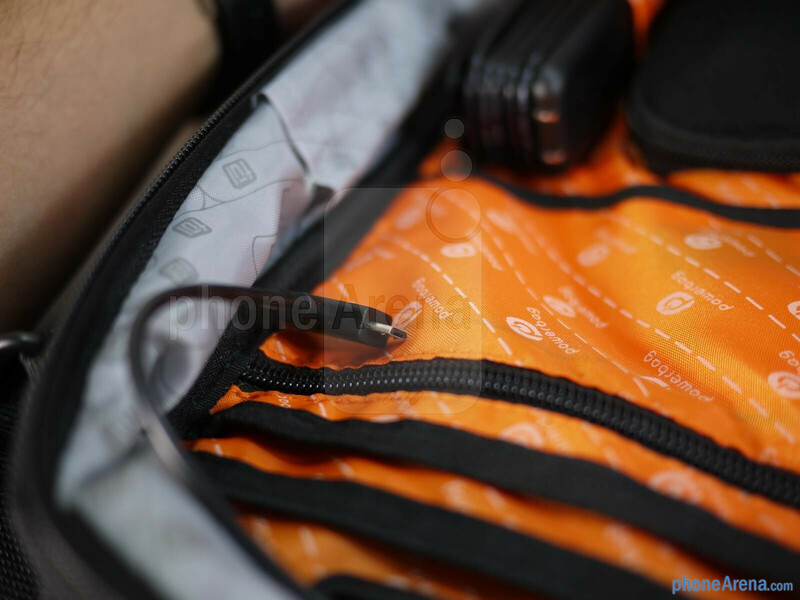 Conversely, the other area is home to a wealth of pockets that can store a variety of devices such as small cameras, smartphones, and MP3 players. 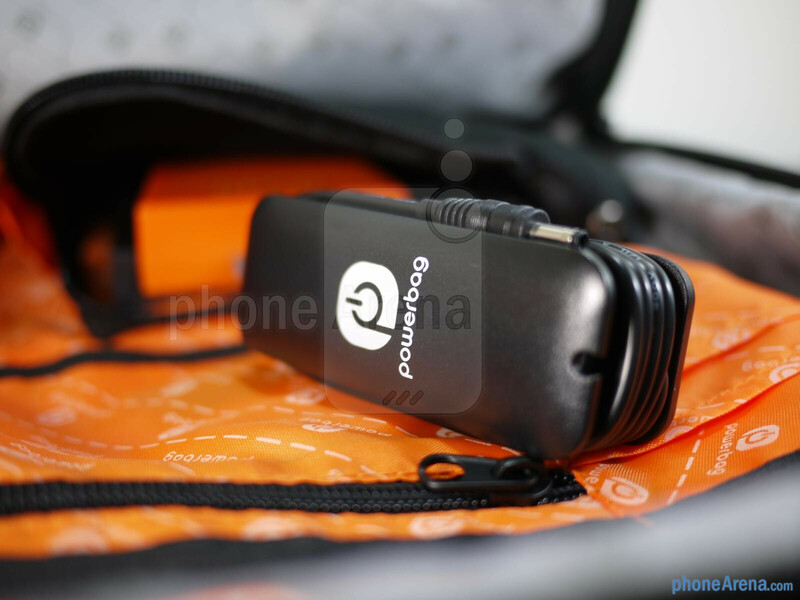 In one of the pockets, there’s a dual microUSB and miniUSB charging cable that’ll juice two devices simultaneously. 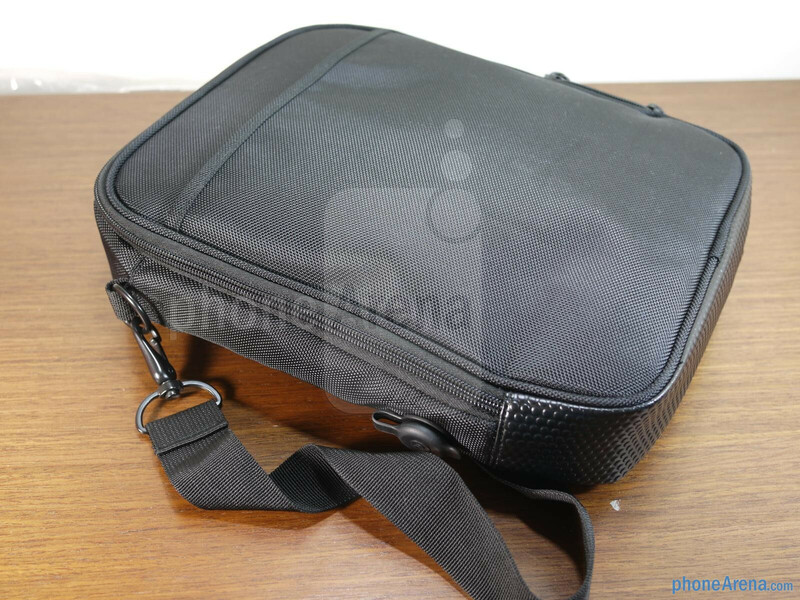 Honestly, there is very little room to store anything else in the Powerbag Tablet Messenger, mainly because its 6,000 mAh battery bay takes up a good chunk of space. 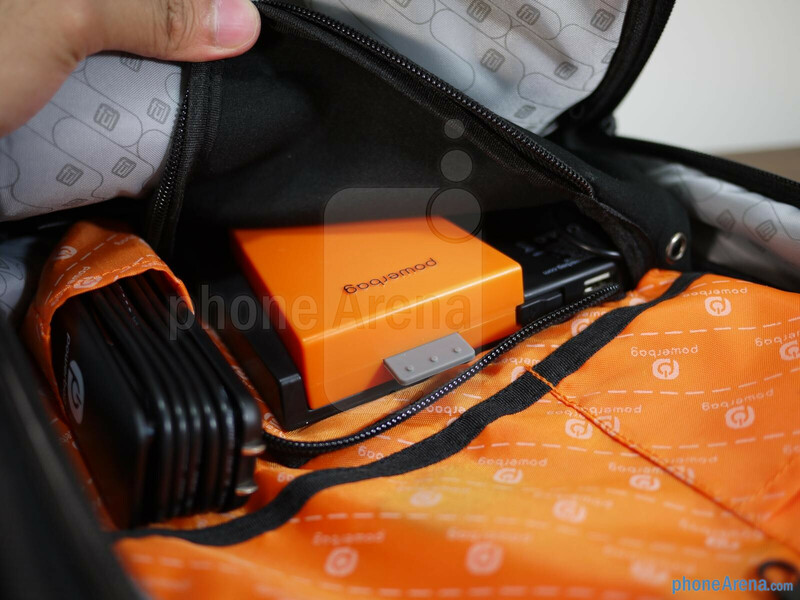 If you happen to have devices that utilize proprietary charging connections, there’s a full-sized USB port on the battery bay to allow you to juice it – albeit, you’ll need to supply your own cable obviously. Rather than removing the battery from its bay to charge, we find it useful that there’s an external charging jack that allows us juice the entire thing with the supplied AC adapter. All in all, if you want to travel light, this is something that you should check out. 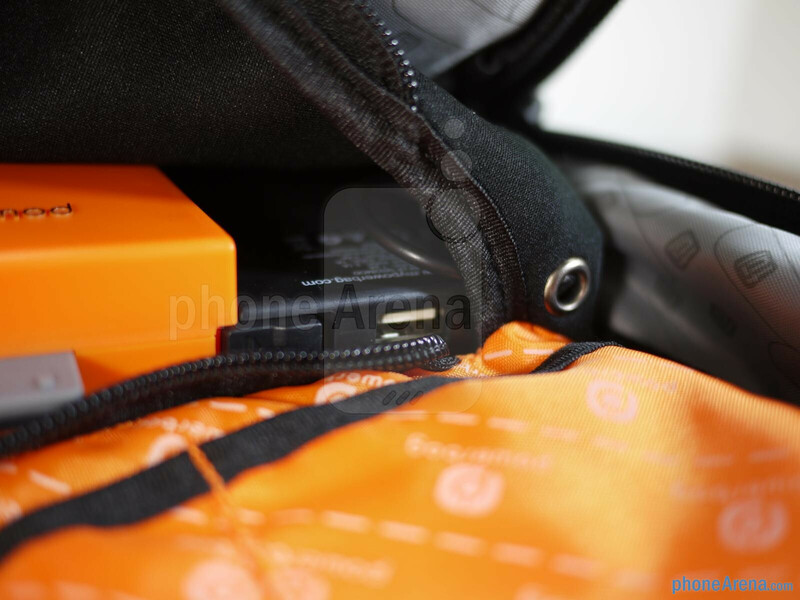 Not only is it stylish enough with its sporty looks, but its ability to charge our devices on the go is an added benefit that we don’t tend to find with most backpacks. 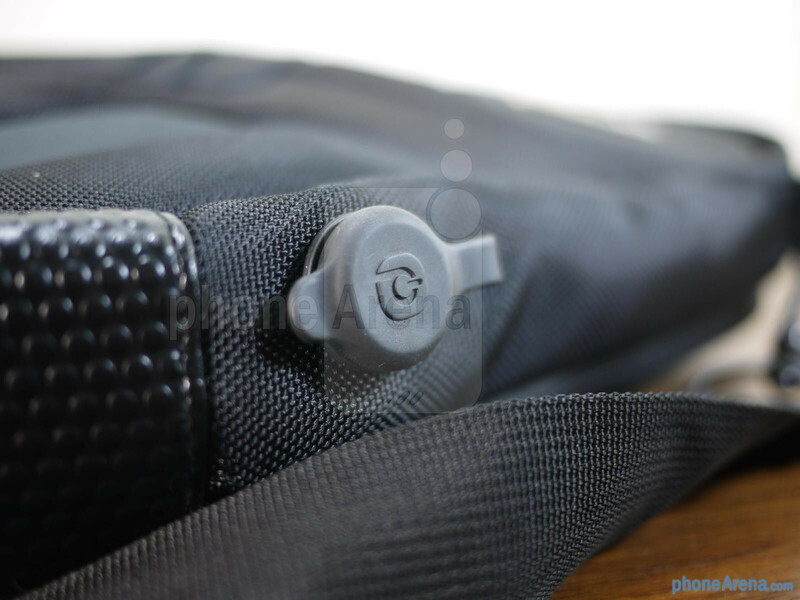 Naturally, some might he hesitant to fork over $140 to nab this specialized messenger bag, but seriously, the cost seems to be more than justified.